A small collection of photos of some of the other things sewn in the last month. The light is all kinds of weird in these photos, mostly because it's February in Seattle. These were all made from stash fabric, so they qualify for this month's Stashbusting "goals." And since none of them are for me, they even meet the Challenge criteria (make something for someone else). That's got to be a first for me. 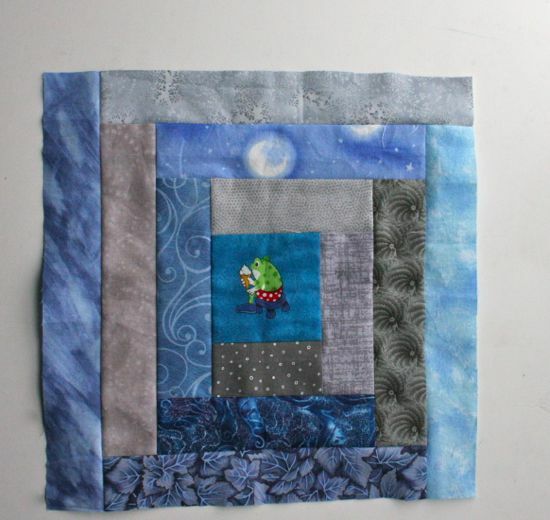 The January/February blocks for Sew.Quilt.Give. 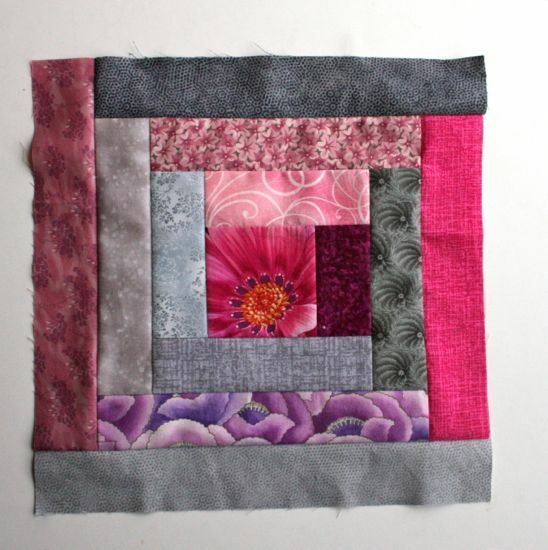 (Ok, I also made my blocks for March since I'm hosting, but those will get their own post.) These are all classic log cabin blocks, with no attention paid to which colors go where. I think this one is my favorite of the bunch. I've never really gotten excited about this frog fabric (little frogs in swimming trunks, with a ball, eating ice cream, etc). Turns out you have to fussy cut the frogs. Altogether, it's a little "meh". Individually, they're cute! This fabric was acquired via stash inheritance, so I've no idea where it came from or how old it is. 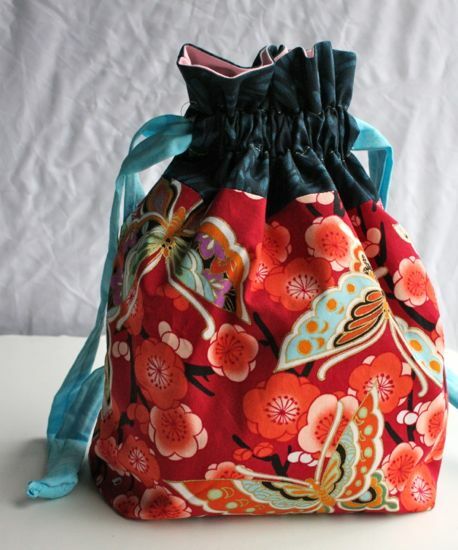 And a couple of drawstring bags I made for my Sew Grateful Week winners. These are on their way to new homes, where I hope they will be loved or regifted. Maybe it's my reading list, but I've got this notion that lots of us quilter/seamstress/sewasaurus types put a movie on while we're working. Let me just say, I'm jealous of all you who can sew and watch Downton Abbey at the same time. I tried sewing and watching Serenity once; the project I was working on took twice as long as it would have normally, and I felt like I missed half the movie. But, around here, we listen to music constantly. We cook to music, clean to music, work to music, sew to music. And because Ian is also a developer, we have a little thing called Fathom. 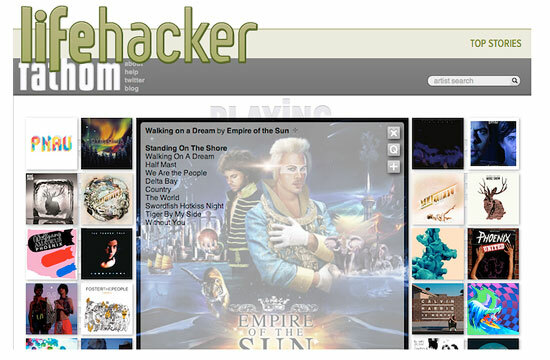 Which, by the way, was featured on Lifehacker this morning! Choose a musician/group you already know. Fathom will start playing an album from that artist (if you've got an Rdio account, you'll get whole songs; without one, you'll get 30 second samples) and give you 20 other albums from related artists that you can then explore or queue up. It works with modern popular music and with classical composers, too. 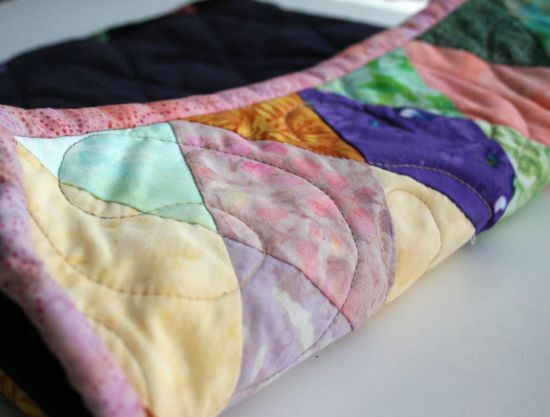 Making a several-hour queue to keep your sound-space full while you piece a quilt or make a dress is easy. Do you put music on while you work? Or do you work better with the sound off? A laptop sleeve. This one is sized for an 11-inch Apple MacBook, conveniently just the size of my sister's computer. I probably could have made the flap on this side just a smidge longer. 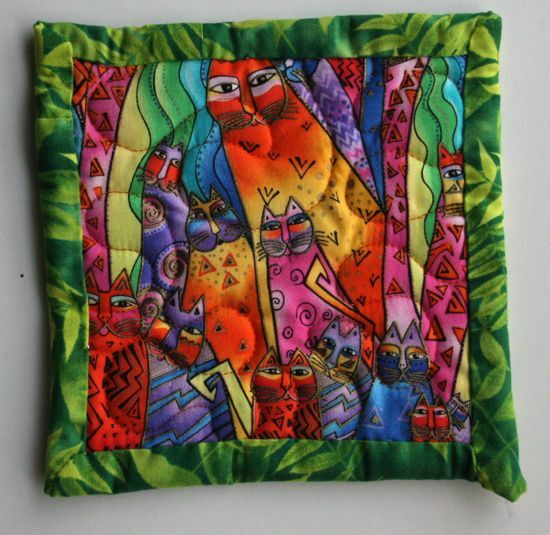 But I'm going to focus on the little diamond points at the bottom, where the batiks jut into the solid fabric. This effect just makes me smile. The solid is also stashbusting, since I saved the 16 or so inches of fabric I trimmed off the bottom of the living room curtains 6 years ago. It's a dark blue velvet, which is fun to feel, but, wow, is it ever a pain to work with! It frays, it's not terribly straight-grained, it stretches slightly, it's slippery. 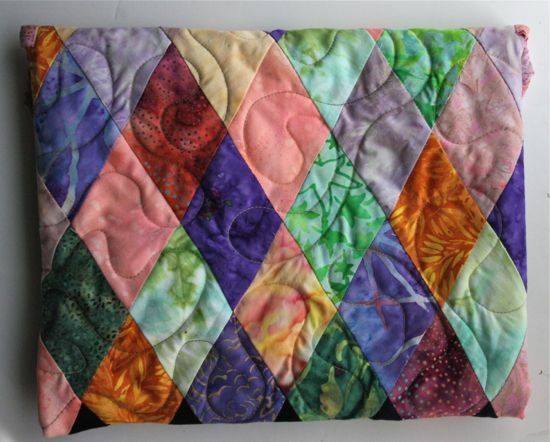 Every time I sewed a batik diamond to a velvet diamond, I did it at least twice. Once the diamonds were done, even the sewing the rectangles to finish the exterior was challenging. Is velvet always this difficult to work with or is it just this particular one??? 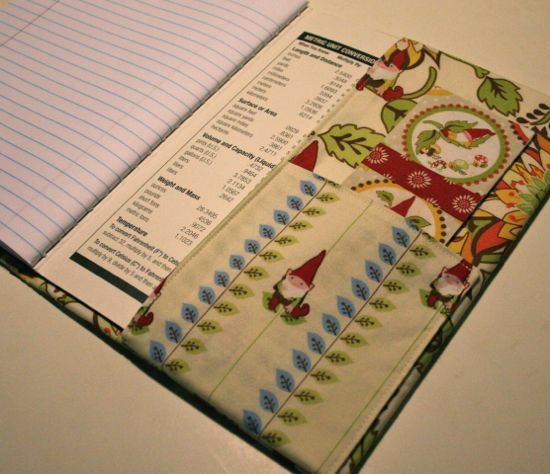 This is the third of these laptop sleeves I've made, and I'm starting to feel like I've got most of the production hiccups worked out, although I'd still like to come up with a better solution for binding where the flap meets the body of the sleeve. Maybe bind the top of the sleeve as well as the flap? Maybe if I attach the interior and exterior before doing the side seams, which I think would make the side seams exposed inside the sleeve (something else to bind)? Maybe if the interior were two pieces, which could keep the side seams unexposed in exchange for an exposed interior bottom seam? 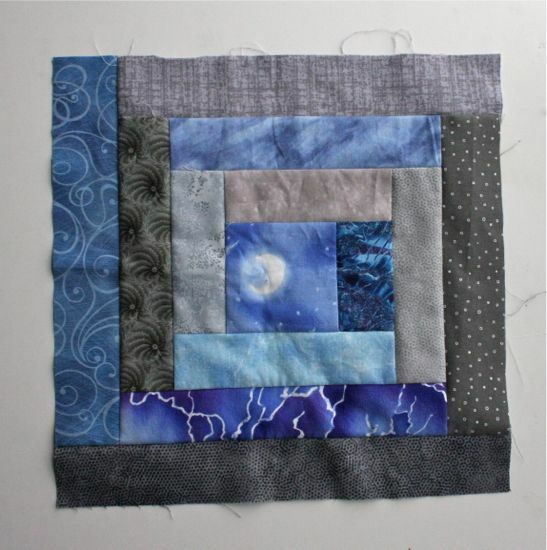 I've got some recycled denim squares which could be pieced together into a sleeve exterior. A postage stamp design might be fun. Woven effects? Log cabins? Clearly, I'm going to need to make some more. A few days ago, I attempted some cinnamon divinity. It's a light and airy candy, just a little on the dry side. It falls apart in your mouth like some after-dinner mints or a meringue cookie. I goofed somewhere on this batch. Possibly, I didn't beat the eggs whites enough, or maybe I didn't heat the syrup to a high enough temperature (the recipe said 155 degrees, but the thermometer markings suggest I should have held out for 160 degrees). Or maybe I was worried about over-beating like I did the opera cremes in December and so didn't beat it enough. Whatever I did, the end result didn't firm up. I pried it out of the baking dish to cut it, and it oozed it's way off the cutting board. Tasted pretty good, but you needed a spoon to eat it. 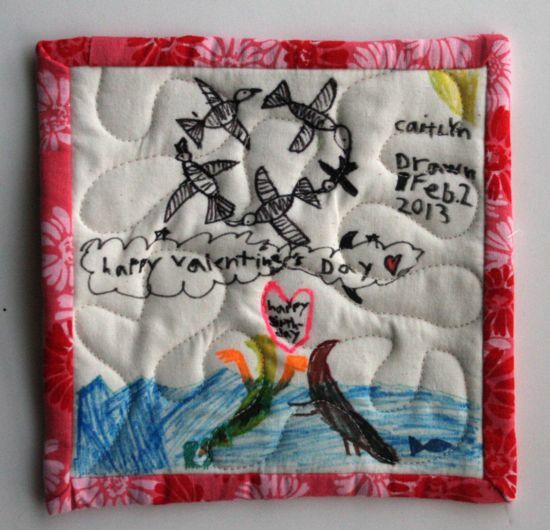 Cutting it into squares and sharing it for Valentine's was out of the question. Since adding Rice Krispies salvaged the opera cremes (or at least made them fun and edible), I decided to try a similar approach with the failed divinity. The stuff was about the consistency of marshmallow creme anyway, so cinnamon flavored Rice Krispy Treats didn't seem out of reach. Maybe I should have used only half of the divinity and more actual marshmallows. Maybe the divinity didn't like being reheated. Either way, I don't have chewy cinnamon-flavored Rice Krispy Treats. I have a pan full of pink, slightly cinnamon flavored, sugar-coated Rice Krispies. 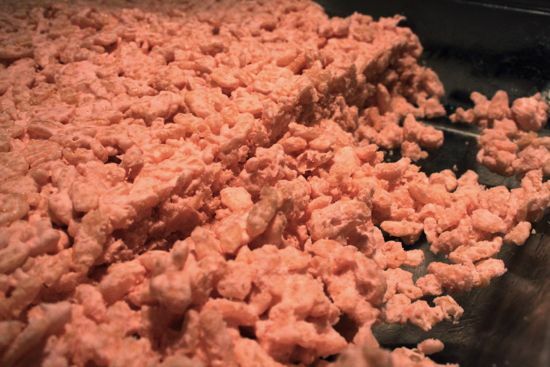 These are not Rice Krispy Treats, modified or otherwise. They are dry, crumbly, and not totally crunchy. Ian thinks a little chocolate might be a nice addition. I think they'd go well mixed in with ice cream. Caitlyn wants to pour milk on them and eat them for breakfast. There are more of them here than we can reasonably hope to consume. So, here's my honest request: Ping me if you want to take in/on some of my latest culinary endeavor. Sorry, this isn't worth shipping, so Seattle People, I'm looking at you. We recently had some gift-giving occasions come up. I nudged Caitlyn a bit ("I bet Grandma would really like it if you made a little something for her..."), and then she surprised me with a request to borrow the fabric markers. 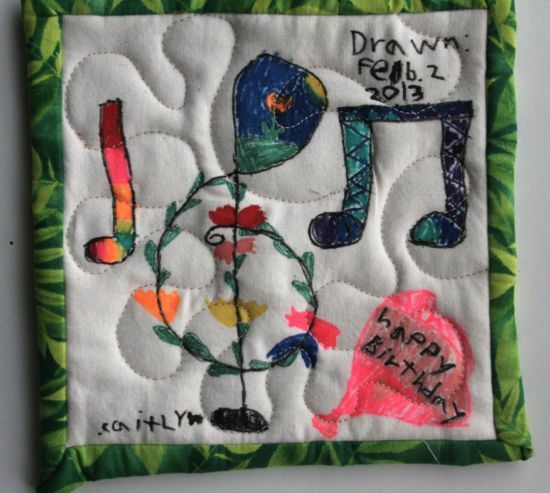 We talked it back and forth a bit ("It would be weird to draw on a piece of fabric and then not turn it into something...") before she settled on potholders/mug rugs. The results are almost all Caitlyn. 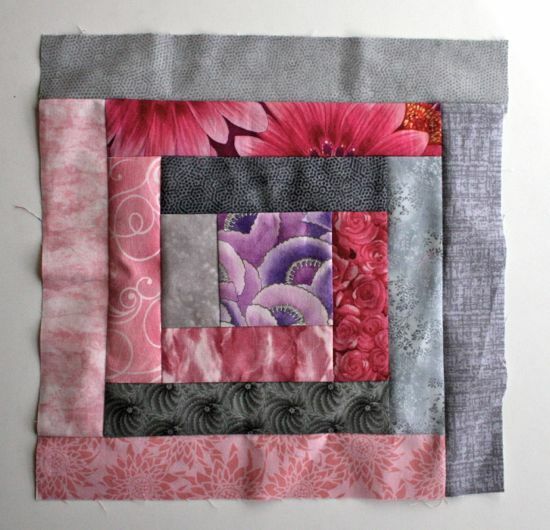 She pressed the fabric; I cut the squares and marked seam allowances. She came up with and drew the designs. 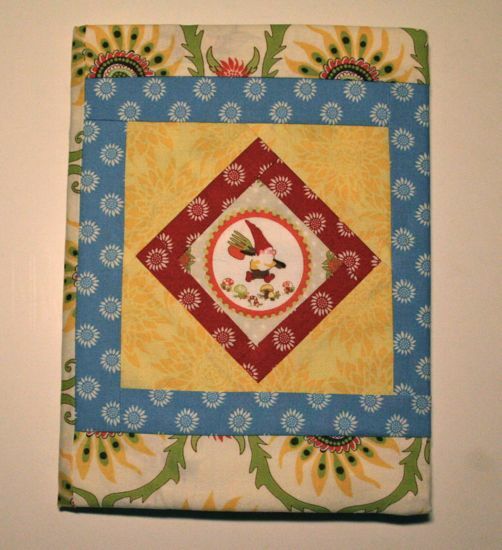 She picked the backing fabrics, the quilting thread, and the binding fabric. I did the assembly. She enthusiastically pressed everything several times. She loves ironing, especially when she can use the spray to really soak the fabric. The end results came out pretty cute, I think. Even better, this was one of our more collaborative projects, one where we were both pretty equally involved, sharing the work, not wandering off in the middle of it. While it's neat that it happened with a project well within my "territory", I especially enjoyed that we were working so well together. Happy Mama Moment. 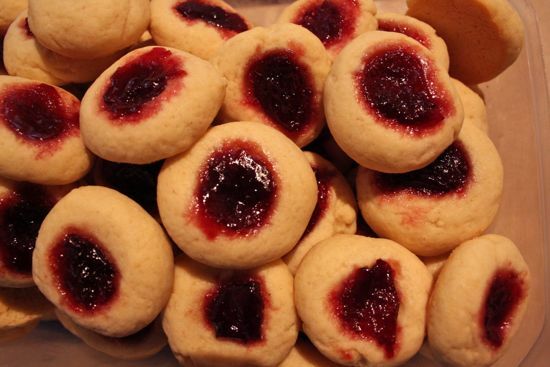 Turns out, when confronted with petite homemade cookies topped with cherry jam and Safeway bakery cupcakes with 1.5 inches of frosting, most second graders will choose the frosting. I can't say they'd choose the cupcakes since many of them licked the frosting off and disposed of the unwanted cake. Too bad I can't bring myself to just bring cheap frosting and a bunch of plastic spoons to classroom parties. I've consulted with random.org and we have our winners! Ladies, be on the look out for an email from me. And congratulations! 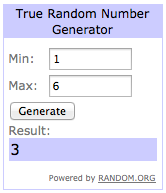 Thanks to everyone who entered. And a welcome shout-out to everyone who stopped by and to everyone who decided to stick around for a while. I hope you like it here! Check out what's hanging out back there behind my sewing machine. Look out, world: I've got a serger now! Ok, I've had the serger since November. But with holidays and so forth, I didn't get a chance to get to know it much. Now that I've finished my Tiramisu (pictures to come as soon as the sun comes back - Seattle is going from rain to fog and back again these days. I don't mind the rain, but the fog is really wearing. ), we've logged a little time together. I'm feeling pretty confident about the threading and about serging most standard seams. When I bought the machine, I also got myself a Serger Technique book, so I'm hopeful about making good use of all the features and functions. I bought a Bernina 1300MDC. Yep, brand loyalty. We're that kind of household, I guess. Computers come from Apple, cars come from Toyota, mixers come from Kitchen Aid, and sewing machines come from Bernina. Besides, I love my Bernina sewing machine. It's a workhorse that's served me well for years, even with international moves (yes, I took my sewing machine to Germany). We understand each other. 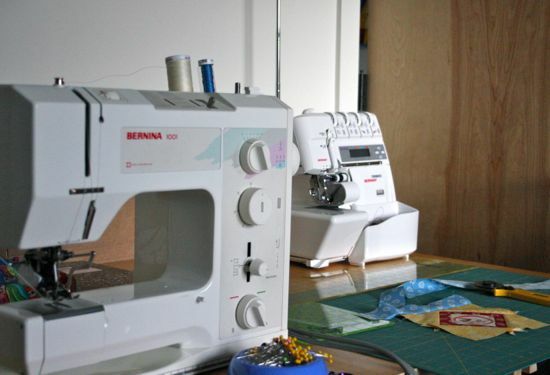 I visited the folks at Bernina Northwest several times while deciding what to get. Something like this, I need to play with a live version before purchasing. How else to decide if it should be another basic machine (overlock only) or something with more bells and whistles? Thanks to everyone who offered advice and recommendations, and thanks to those who listened while I rambled on about options and wishes and fears. 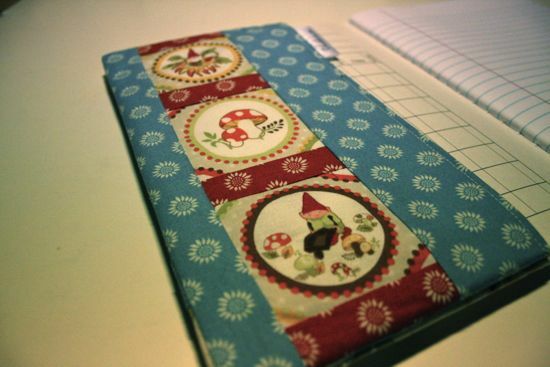 In the end, I went for the fancy option this time so I could have a coverstitch. I want to be able to make things that look "real" (that is, RTW), and a coverstitch offers me that. Besides. there's no room on my table for a dedicated coverstitch machine. I've already taken advantage of Bernina Northwest's serger classes (included in my purchase of the machine), but I think I'll need to go back for some additional pointers on using the coverstitch on stretchy things. I'm looking forward to a long relationship with my new serger. I'm especially excited about how much more accessible sewing with knits feels now. I know you're supposed to be able to sew knits with a "long and narrow zig-zag" or a lightning bolt stitch. But my regular machine doesn't have a lightning bolt and seams I've sewn with a long, narrow zig-zag stitch have popped most of their stitches with regular wear and washing. Serging seams should make this problem a thing of the past. Long-sleeved knit shirts, I'm looking at you next! It's Sew Grateful Week! That means it was just about a year ago that I started looking around the internet for folks who sewed clothes for themselves. 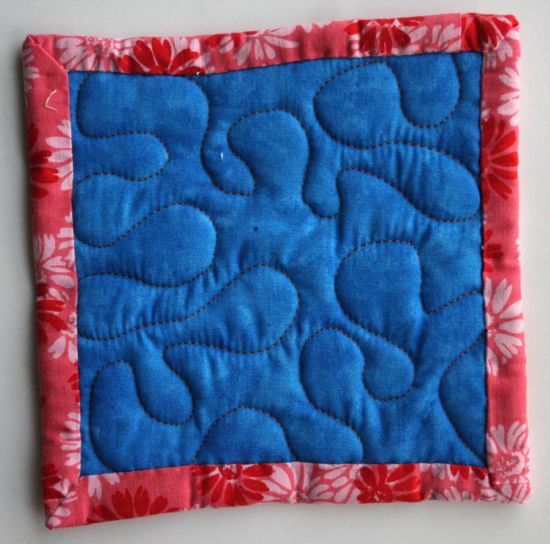 Not to knock the quilters I follow or those who sew kids' fashion, it's just that I want to also sew for me. 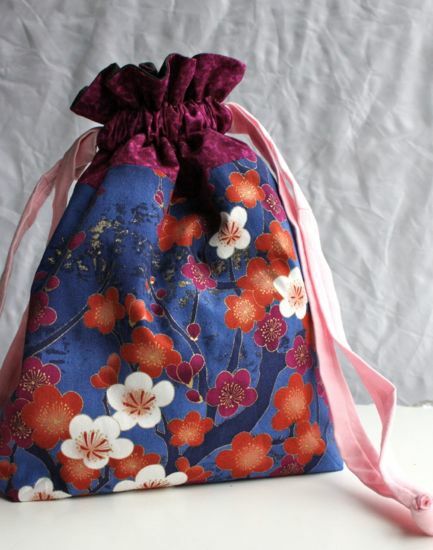 I may not comment much, but I'm a regular lurker around My Happy Sewing Place, Four Square Walls, Cation Designs, Ginger Makes, and several other sites. I may be moving slowly on my own Wardrobe Improvement Project, but I'm pretty sure any forward progress at all is at least in some part due to these ladies sewing so prolifically and posting about everything. So, I'm grateful for the inspiration and encouragement of Teh Interwebs and for all you folks out there who take pictures of your successes and your failures. I appreciate your inspiration, your enthusiasm, and your willingness to share your experiences. Cheers! 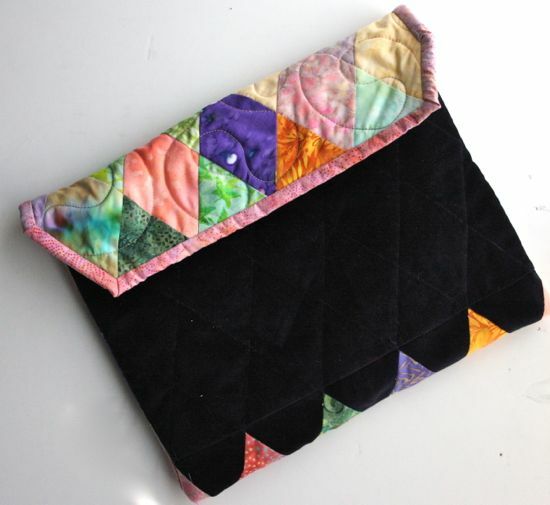 While on the subject of gratitude, I would be remiss in not acknowledging my gratitude for the time and space in my life that allows me to compulsively sew things. I've got an encouraging husband and a kid who willingly wears what I make for her. I recognize I'm blessed, and I'm very grateful for those blessings. But Sew Grateful Week isn't just about reflecting on one's own blessings; it's about giving, too. I've got two patterns which would love to find new homes! 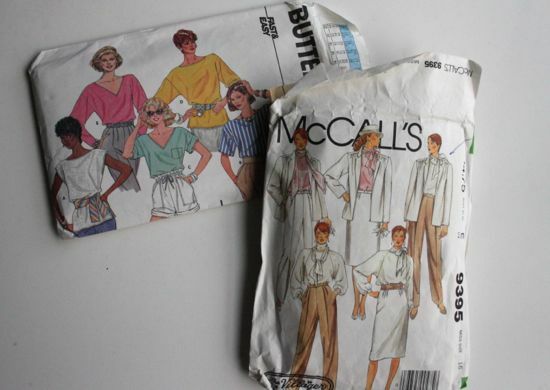 Butterick 3070. Copyright 1985. 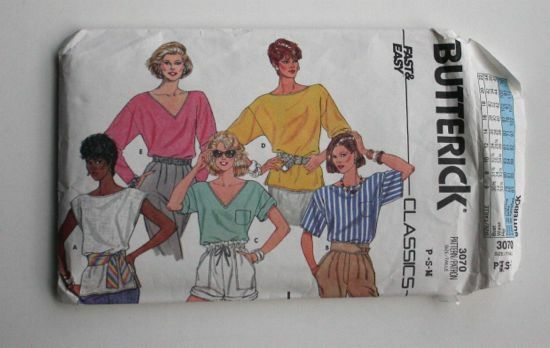 The description says, "Loose-fitting, pullover top has neckline variations, dropped shoulders, side hemline slits and short or long sleeves rolled up (wrong side shows). Narrow hem." It's a multi-size pattern for petite-small-medium (30.5-32.5-34) and it's been cut to the medium. It's missing a back facing piece, but I expect it wouldn't be hard to draft a facing piece from the other pieces. 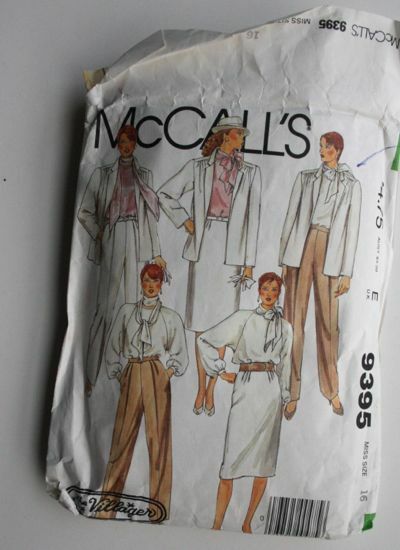 McCall's 9395. I can't find a copyright date on it, but it looks mid-80s to me, although I'm not a very good judge of these things. It might be the style of the illustration (check out the blusher!) that makes me think 80s and not the style of the clothes. Anyway, the description says, "Lined jacket has front and back gathers, yoke with forward shoulder seams, shoulder pads, notched collar, pockets in side seams and long sleeves. Pullover blouse has bound neckline; raglan sleeves with deep armholes are gathered to buttoned cuffs. Self-fabric scarf is cut bias. Straight skirt has soft front pleats, pockets in side seams, back vent, back zipper and waistband. Straight-legged pants have front pleats, pockets in side seams with left side opening and waistband." It's a size 16 (for a 38 bust). If you'd like one or both of these patterns, please let me know which one(s) in the comments. I'll give them away separately or together, depending on how many interested parties speak up. The giveaway is open until Feb. 12, and international entries are welcome! Or, it was. And, yes, it's a thing. Our local ice cream place has hosted an event for International Eat Ice Cream for Breakfast Day for the last three years. It's seems to still be a small thing, though, so if you missed it, I won't tell if you have a slightly delayed celebration. Candlemas, the Christian celebration of the presentation of the infant Jesus at the Temple; and Groundhog Day, the American tradition of predicting the arrival of spring based on the skittish reactions of a sleepy rodent. There were waffles under our ice cream, but the chocolate syrup and mini Oreos probably tipped things more firmly toward the "ridiculously sugary." Not that there was any complaint. 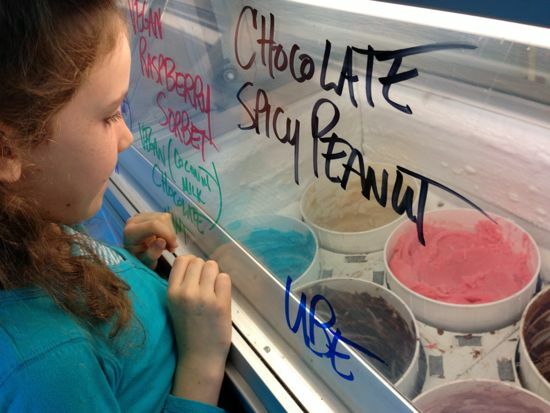 If we celebrate Eat Ice Cream for Breakfast Day next year, I think we might skip the arcade games, the ice-cream-themed haiku writing, and the Brain Freeze ice cream speed eating contest (although Caitlyn put in a solid performance in the Under 12 bracket). I'm thinking ice cream would go nicely on top of any number of breakfast items (pancakes, coffeecake, brioche, French toast (baked or griddled), bread pudding, possibly even oatmeal). Yep, I think this might work. Now, who thinks we should turn it into a social brunch potluck thing?